Here’s what you need to know about the Hawaii Low Income Household Renters Credit. See if you qualify. Learn how to claim it. Tax Pro’s Note: Careful – this credit expires. Do not claim this credit if you are preparing and filing past-due tax returns that are beyond the current credit expiration time. See Form N11 Instructions. Hawaii “taxes the poor” at a rate exceeded only by 2 other states. In all fairness, this is because we have a low taxpaying population in ratio to our expenses as a state. Fortunately there are a few credits that low income individuals and families can claim to help a little to make up for it. Hawaii policy makers have understood that low income taxpayers are burdened by high costs of living and high state income taxes. One area of relief they have provided is a credit that allows renters $50 per exemption for those that qualify. Disclaimer: The advice given on this page is meant as a general guide only and, though we intend to keep it updated, may not be current. Before filing your own taxes, please refer to the official Hawaii State Instructions. We officially recommend that you hire a professional to prepare and file your taxes, as they should be up on all of the latest updates and changes to the tax code. Hawaii Credit for low Income Household Renters – Who Qualifies? As of 2016, to qualify for the credit, a taxpayers gross income must be less than $30,000 and they must have paid at least $1,000 in rent at their principle residence in Hawaii during the tax year. “Rent” does not include utilities, parking, use of land only, and the amount must be reduced by any assistance for housing that the taxpayer has received. It must also not have been deducted in some way from the taxpayers adjusted gross income. The property you are renting must be subject to real property taxes. This means (generally) that state sponsored low income housing, military housing, school dorms, non-profit shelters, and other such properties do not qualify for the credit. Also note that “dependents of another” cannot claim the credit. So you have to be able to “claim yourself” on your Hawaii income tax return. You also must be a resident of Hawaii to claim the credit. You do not have to have any income to claim the credit. as dependents, are considered qualified exemptions for purposes of claiming this credit. Hawaii taxpayers that qualify can claim the renters credit on Schedule X. You must file a tax return and include the completed Schedule X to receive the credit. You will need the name and GE Tax number of the landlord. You can do a search for his or her GE Tax number here. Keep in mind that when you list your landlord on this form, the state will likely check to see that the they are reporting and paying income and GE Taxes properly on the rent that you claimed to have paid them. They will also possibly verify the amount of rent you claim to have paid to your landlord, thus preventing fraudulent claims. You can only claim the Hawaii Credit for Low Income Household Renters up to twelve months after the close of the tax year. So you you have late returns to file, you can’t take this credit after the following year has passed. If you are catching up on your filings by preparing multiple years of tax returns, remember not to claim the credit on all of the tax returns – just perhaps the most current one, if it’s not too late. If you attempt to claim the credit in prior years, you will most likely get an adjustment letter from the Hawaii Department of Taxation. Sharing is caring – please help support our web page and share us on Fabebook – mahalo! If you wish to hire us to file your taxes and claim this credit for you, call us at 808 744-5314. 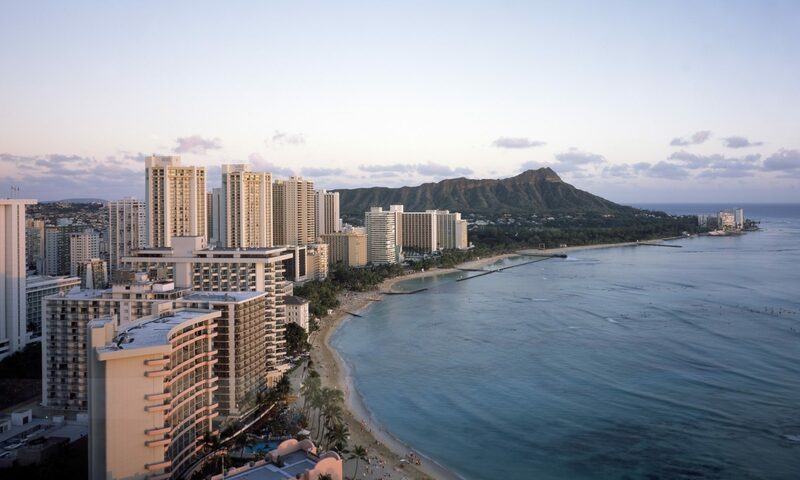 I subleted a room in Waikiki for 15 months with a contract. So, the apartment is owned by a third party. My previous landlord won’t give me his GE number. How do I apply for renter credit without his GE number? Aloha – thanks for the comment. I’m not sure if you can file for the renter’s credit without the landlord’s GE Tax ID, because the instructions say to include it. Can I claim this credit if I moved to Hawaii in August 2018?